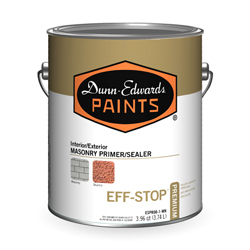 Blocks rust by protecting metal surfaces from moisture. BLOC-RUST® Premium is a Rust Preventative primer that offers excellent corrosion resistance and adhesion on interior and exterior ferrous and non-ferrous metals, except for galvanized steel. It is formulated with advanced waterborne alkyd technology to provide superior application properties and good hide, with the convenience of lower odor, fast drying, and water cleanup. FOR METAL SUBSTRATES ONLY. These diagrams are not designed to scale and are simplified to illustrate what is happening on a microscopic level. In comparison tests, we applied BLOC-RUST® Premium White and leading water-based rust inhibitive primers on ferrous metal. 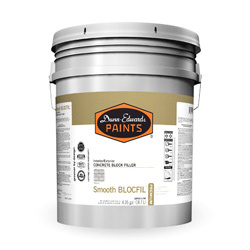 BLOC-RUST® clearly beats the Regional and National Brands, as their primers show significant rust and corrosion development. 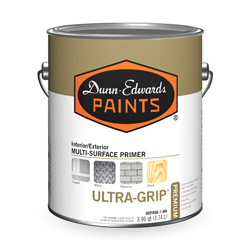 Paints are applied using 5 mils DOW drawdown bar to 4 inches by 6 inches dull finish steel panels. After the drying period, all panels were checked for mil thickness and scribed (cut into) with a four inch “X” on the face of the metal panel using a box knife. After scribing the panels, each set was placed into a fog chamber where the panels were subjected to laboratory simulation of natural atmospheric corrosion.